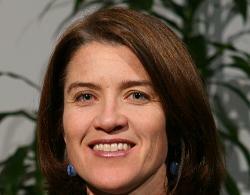 Alexia Kelly is the new president of a prominent Catholic fundraising office in Dupont Circle, Washington, DC. Ms Kelley holds a Masters degree in theology from Harvard Divinity School is reportedly committed to dialogue with others for the sake of advancing the common good, and interested in Catholic charitable works. Her resume includes being a former employee of the Catholic Campaign for Human Development; the executive director of Catholics in Alliance for the Common Good; the Deputy Director and Senior Policy Advisor for the Whites Office for Faith-Based and Neighborhood Partnerships; and the First Lady's Office, for whom she launched Let's Move Faith and Communities. Most recently Kelley's been the director of the Faith-Based and Neighborhood Partnerships at the HHS. Continue reading Alexia Kelley, Obama consultor to head FADICA. As a matter of good citizenship, as a concern for faith and public order, for faith and reason, you and I need to vote according to a fully formed conscience. A video clip of young men and women expressing their desire to be heard in the voting process next Tuesday, 6 November. The young are voices with a vote. Watch the video! Don't let your discouragement in the political campaigns be a good reason for not voting. In a democracy not to vote in a significant election is near sinful. This page is a archive of entries in the Faith & the Public Order category from November 2012. Faith & the Public Order: October 2012 is the previous archive. Faith & the Public Order: December 2012 is the next archive.